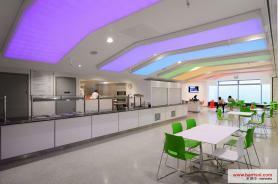 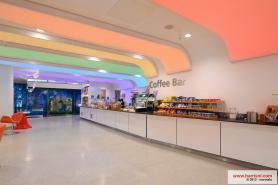 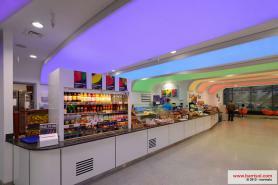 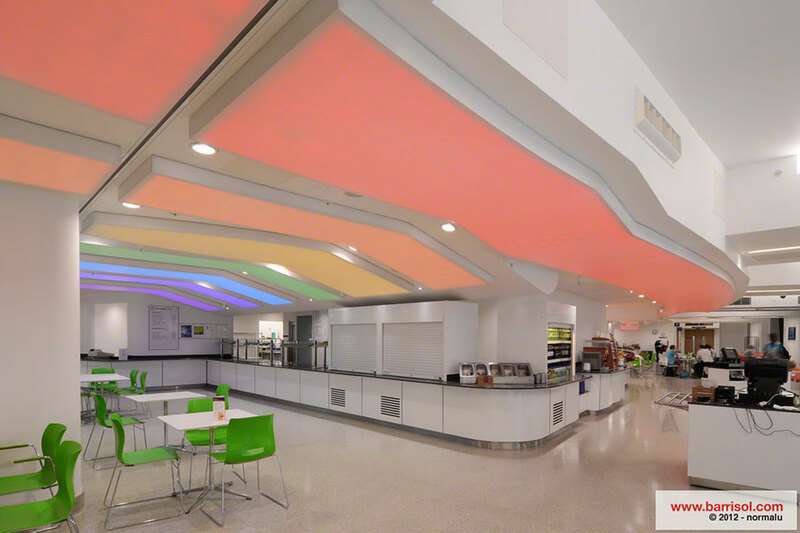 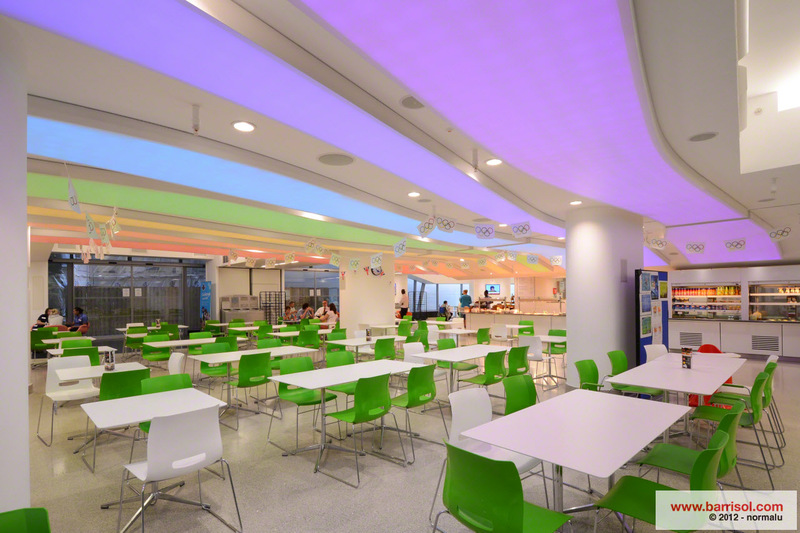 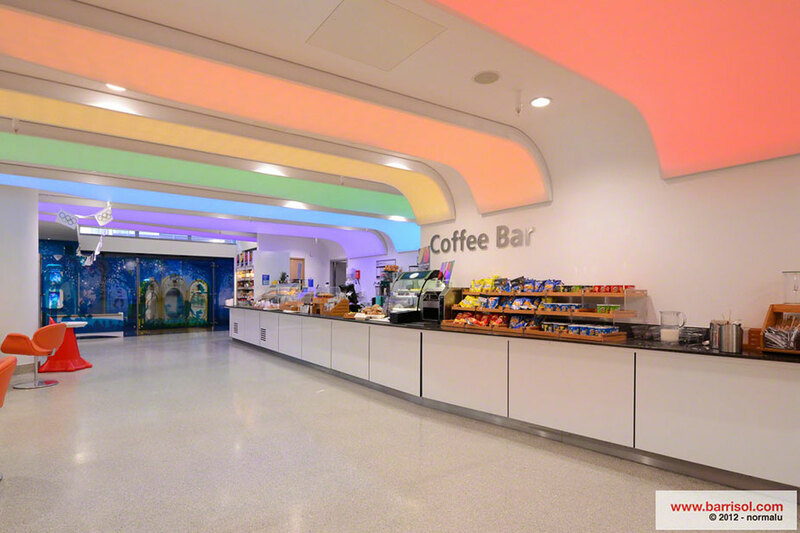 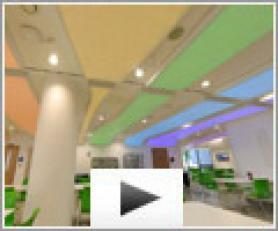 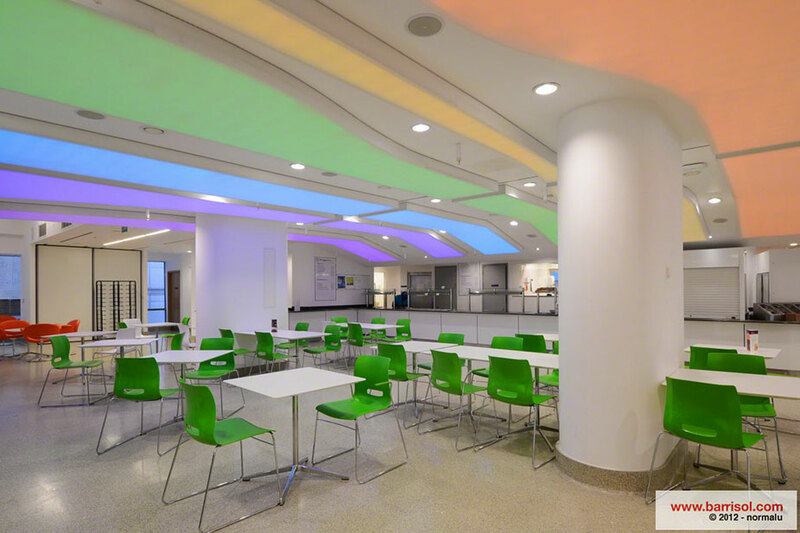 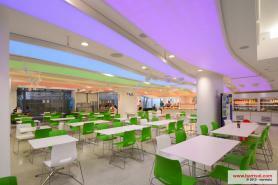 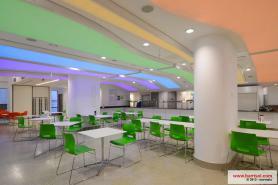 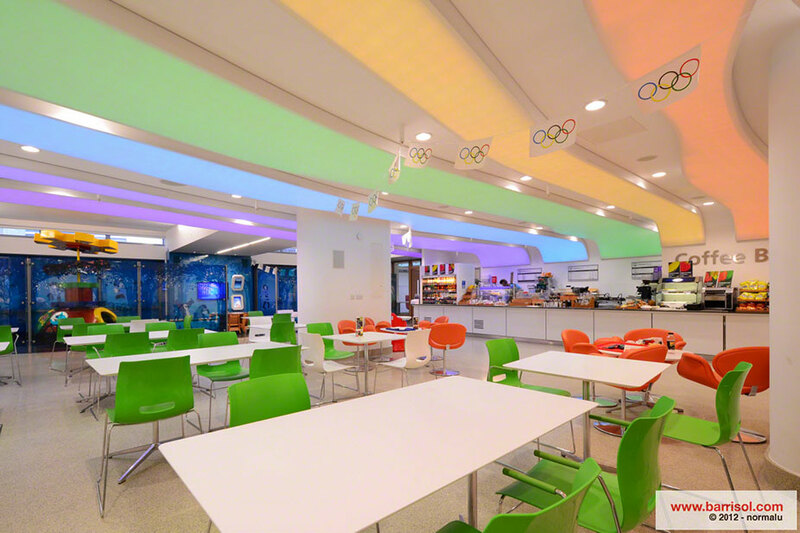 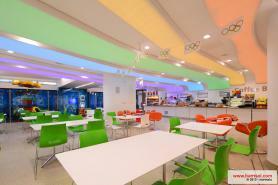 Barrisol® is improving the look of Great Ormond Street Childrens Hospital in London, England. 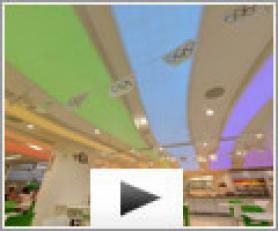 The cafeteria is transformed into a magical and friendly place. 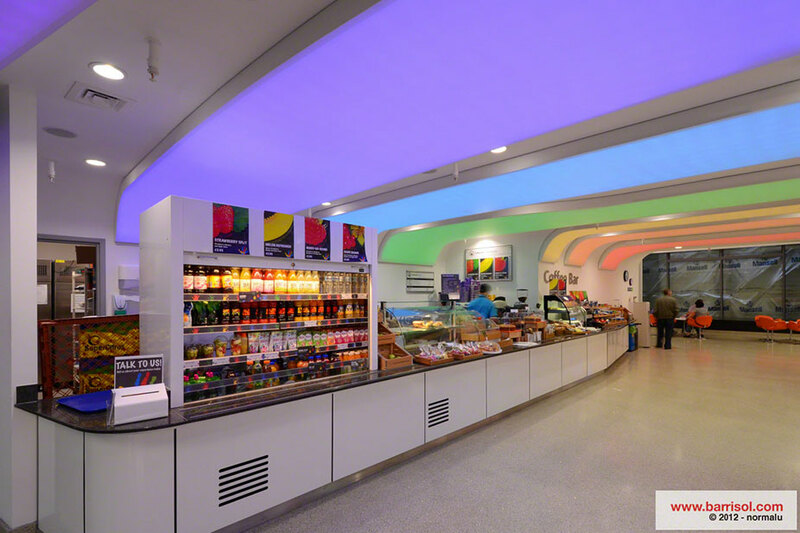 Designed by the architect Llewelyn Davies Yeang, who took inspiration from the Disney universe, the ceiling is a Barrisol® translucent Blanc Venus along with the Barrisol® Lumiere Color® technology. 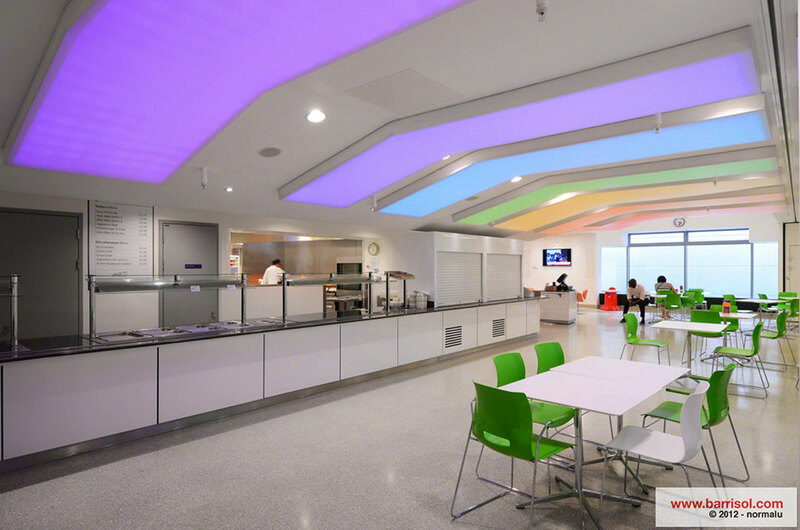 Using the fabrics this way, coloured bands (translucent sheets) soften the atmosphere and bring the benefits of the chromotherapy.